Today's post will consider the actual command of anointing with oil and tracking out how it is to operate from beginning to end. James' was the half-brother of Jesus according to the flesh. His epistle or letter represents the earliest material in the New Testament with respect to practices and doctrine. The practice of anointing with oil is prescribed by James in James 5:13-16. The chief question before us, as with any part of God's word is: "what does it mean?" As we comment through James 5:13-16, applications for today's Christian and the local church will be offered. James 5:14a The sick congregant must submit to the Elders and leadership of the church. To make such a request is an act of humility. Humility before the Lord positions that person to be acted upon by God for emotional, spiritual and of course, physical healing. (see 1 Peter 5:6). Whichever remedy or combination occurs is up to God's purpose. James then writes "let them offer a purposeful prayer". Quite literally, the "Elders" (actual ordained men or some form of representative leadership) are being commanded to fulfill the request of the sick congregant and come to pray with and over that person. James 5:14b As the Elders met to pray with the sick congregant, there had to be an attending physical act. The physical act in this instance would be a sign corresponding to both their expression of faith and the One to whom they're appealing. The sign mentioned here in James' text is that of anointing oil. 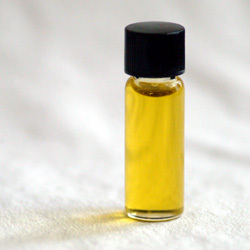 Standard word-study references explain the word translated "anointing" as referring to the application of oil by anointing with a household remedy. In addition to James 5:14, we see the following pattern set by Jesus and the disciples in Mark 6:13 - "And they were casting out many demons and were anointing with oil many sick people and healing them." In these verses, the prescription of anointing with oil is for those who are experiencing perhaps more common and non-terminal illnesses (James 5:14 i.e - "is anyone sick among you") all the way to those in the worse condition (James 5:15 "severely ill"). 3. Thirdly, James appears to be prescribing a remedy for those in the church who are suffering. In general terms, the outcome of healing should never be doubted. As was stated already, the only thing we are not told in the text is how long of time could pass between the administering of the anointing oil and the healing performed by the Lord.